The biggest enhancement by far is the introduction of the all new Topic Reports. 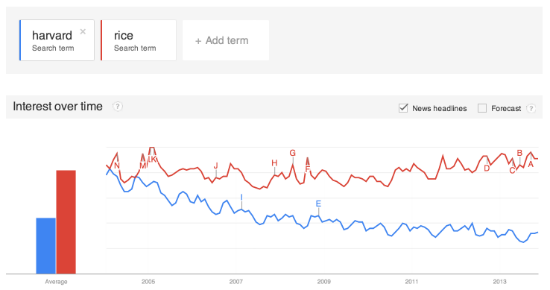 To compare how certain search terms or phrases rank, you were always able to feed them to Trends. The problem was, that it was never sure that you really triggered Trends right. 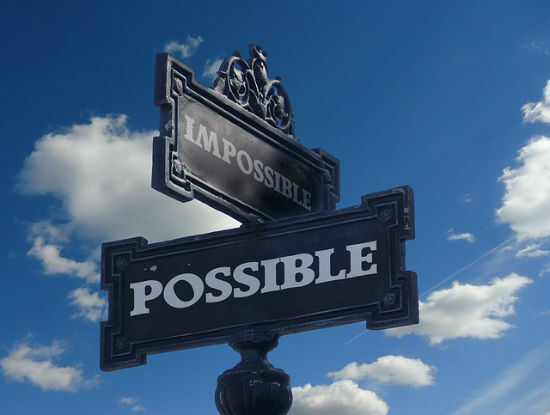 Especially entering ambiguous search terms, such as "rice", would lead to unclear and unreliable results. Were you looking for the cereal or the former US ministry or the university by the same name? With Topics Reports Google starts offering results as soon as you start typing. 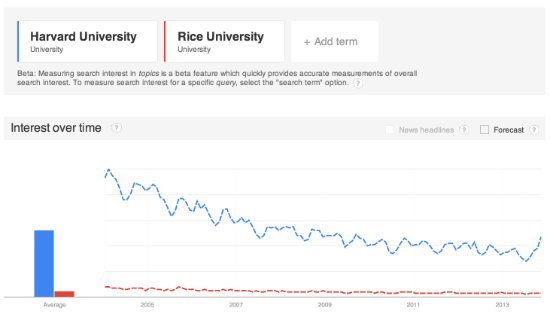 That way you can make sure that really only the interest in "Rice University" is measured. You see the difference to the above screenshot? 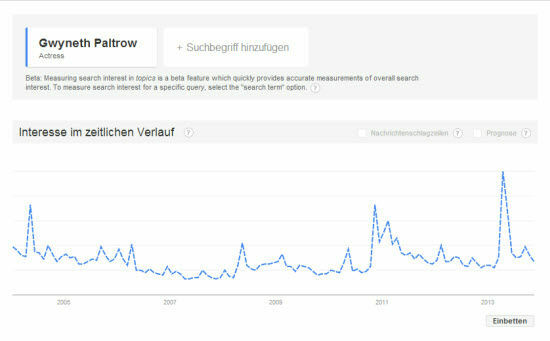 Also, Google Trends now tries to measure misspellings or alternative terms and phrases for the same topic. If you are looking for e.g. 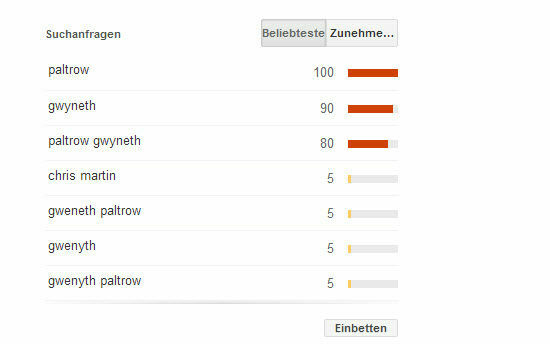 "Gwyneth Paltrow", Trends will now automatically add as many different, but related terms to the report. That way, reports get much closer to reality, where not everybody searches for the same terms, even while searching for the same terms. If you are not searching for specific topics, but are looking to cover what interests the most people, Google’s new Topic Reports won’t do the job. It is the also new Top Charts where you’ll be wanting to go. Top Charts is only available for the United States at the time of this writing and shows which topics where the most searched for. Results are monthly with an offset of one month. Today you’ll be able to access the newest results from October 2013 and back. Grouped into categories such as Cars, DJs and more, depending on what actually where the most active topics in search, Trends gives you a detailed insight in what you should cover in your articles, product descriptions, page contents in general.